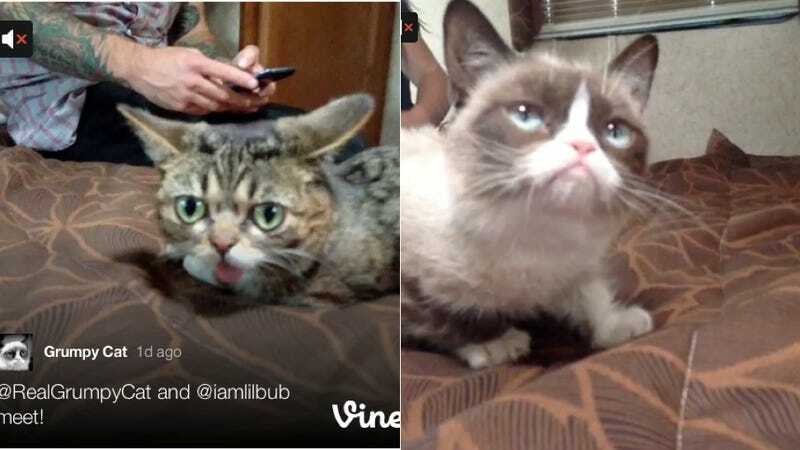 Lil Bub and Grumpy Cat Met and We're All Still Alive? How is that even possible? Shouldn't we have crossed the rainbow bridge by now and be making out with ocelot cubs in heaven? They met at the Internet Cat Video Festival (where else), and the rest is catstory. They're probably Thelma and Louise-ing it somewhere in the desert right about now — ride on, Internet cats. Ride on.